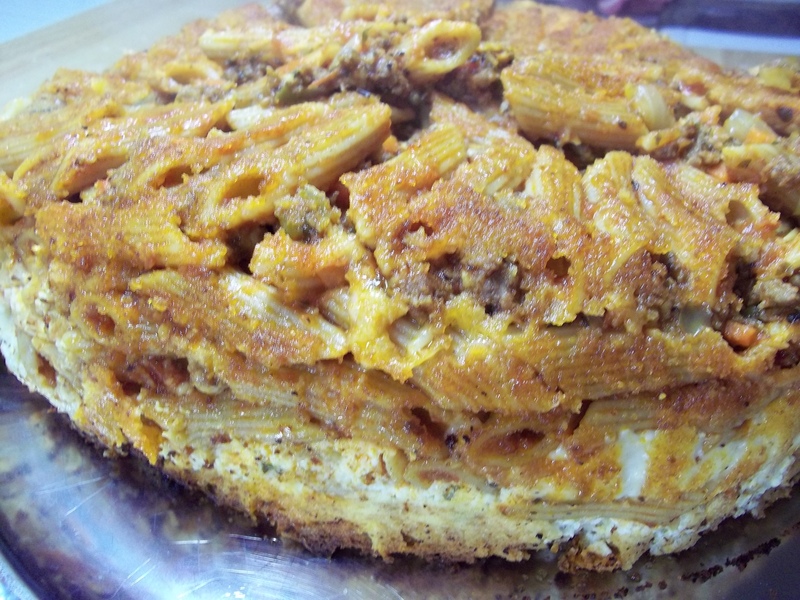 Like an inverted lasagna, this dish is made of thick layers of ragu, cheeses, and pasta. You can make it in a large baking dish by doubling the recipe, serving it right out of the pan rather than inverting it. For a quicker version, you could use jarred Alfredo sauce in place of the Bechamel. 1 lb. 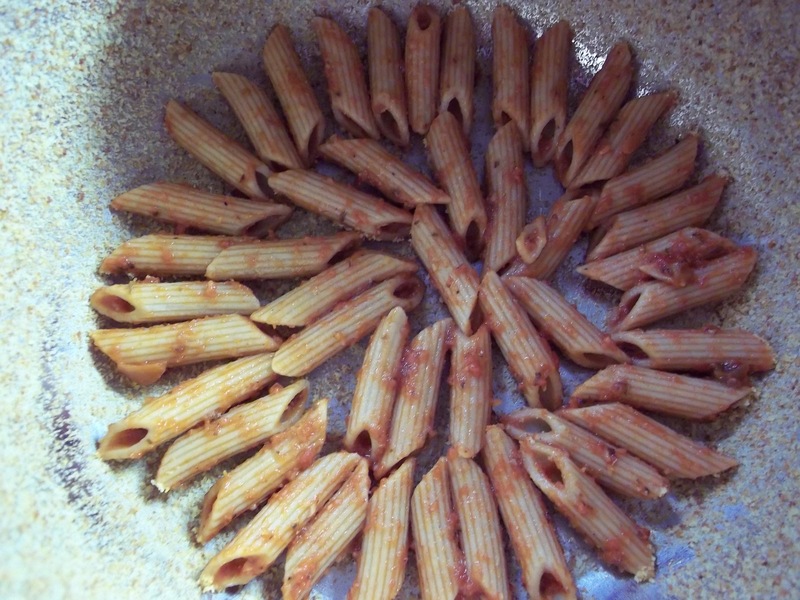 pasta, cooked according to package directions. 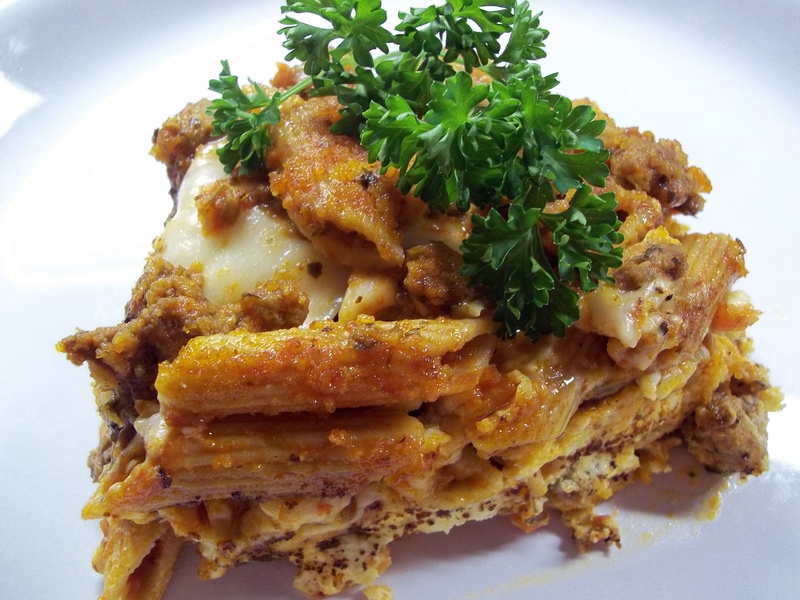 Penne was used in this recipe, but any large chunky pasta will work well, even layered lasagna noodles. Heat oven to 350 degrees. 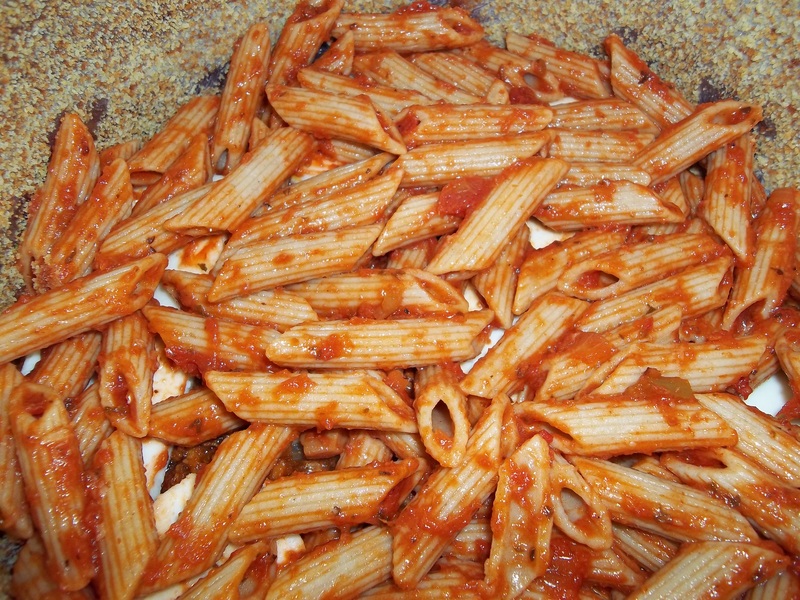 Cook pasta and mix with 12 oz. tomato sauce. Set aside. Heat olive oil in a medium saute pan. Saute garlic until translucent. 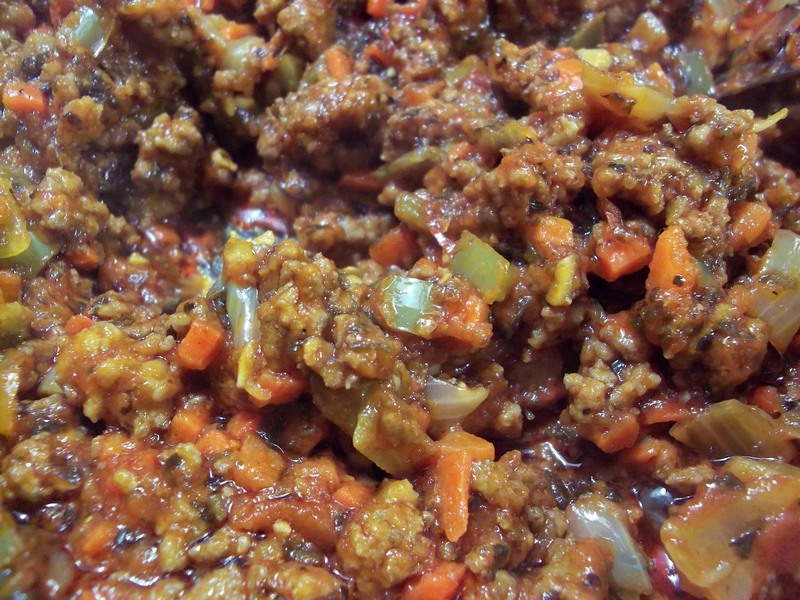 Add ground beef and sausage. Brown. 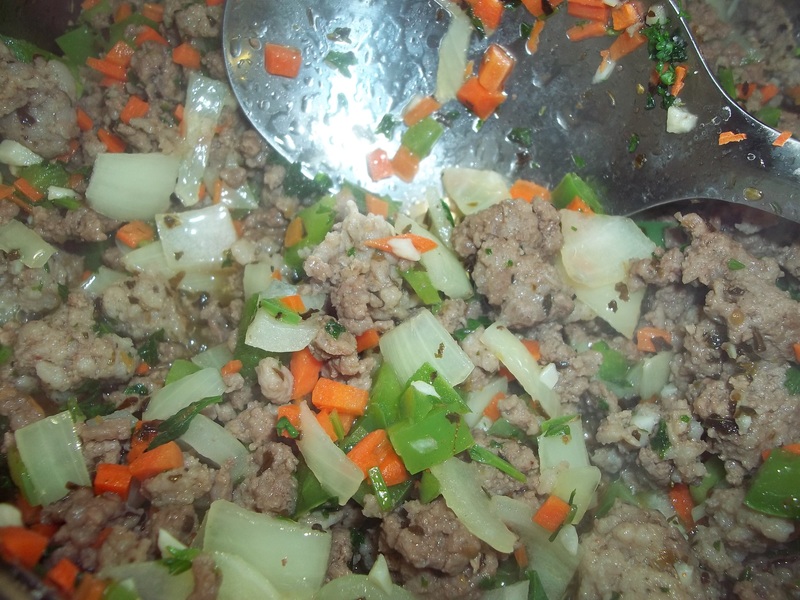 Stir in onions, carrots, parsley, and herbs. Cook stirring frequently until meat is thoroughly browned and vegetables are translucent. 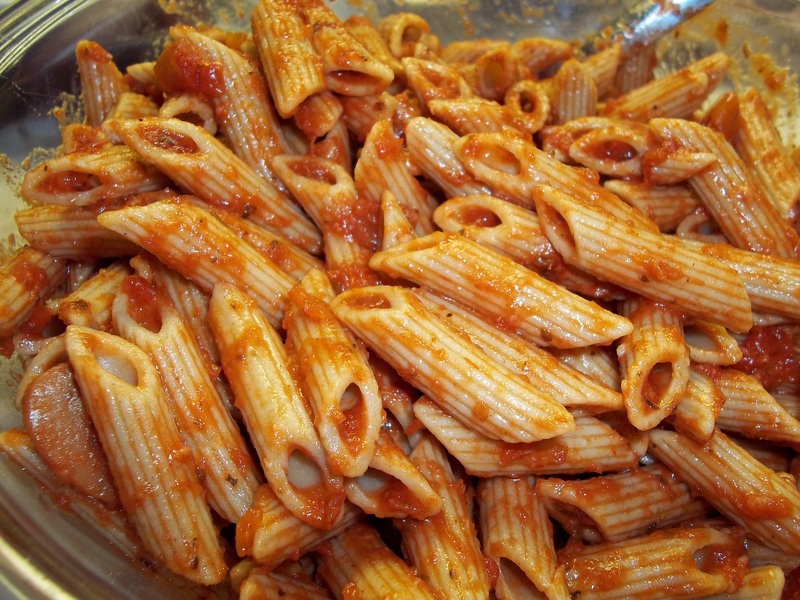 Add tomato sauce. Simmer slowly for 45 minutes, stirring occasionally. 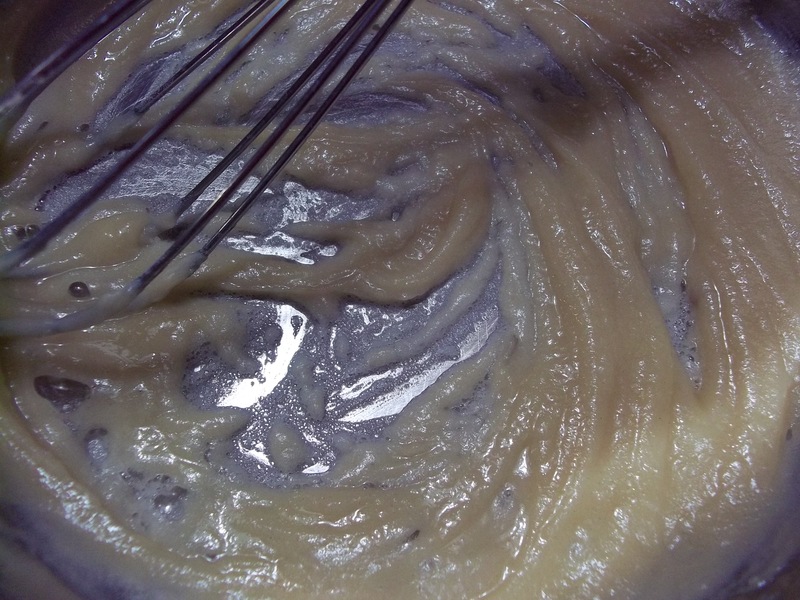 Melt butter with oil in the bottom of a medium-sized saucepan over medium heat. 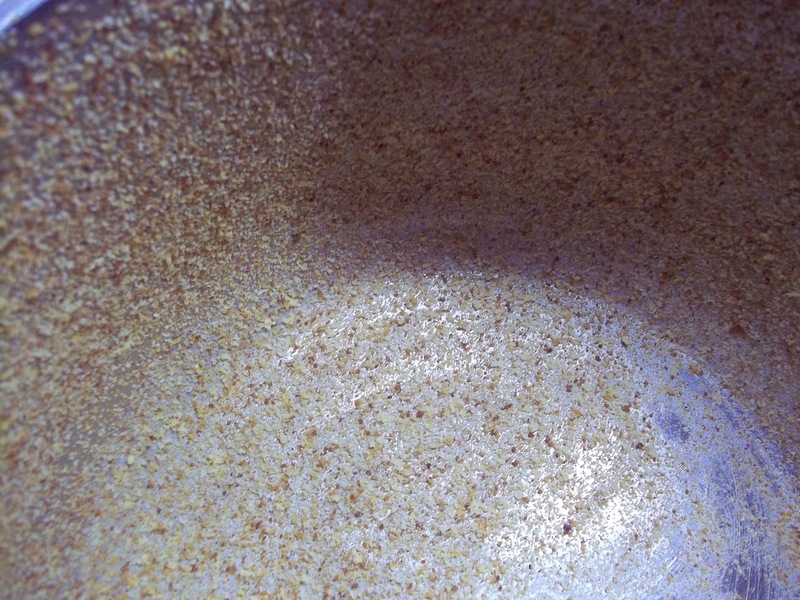 Add flour to make a roux and stir constantly while cooking for one minute. 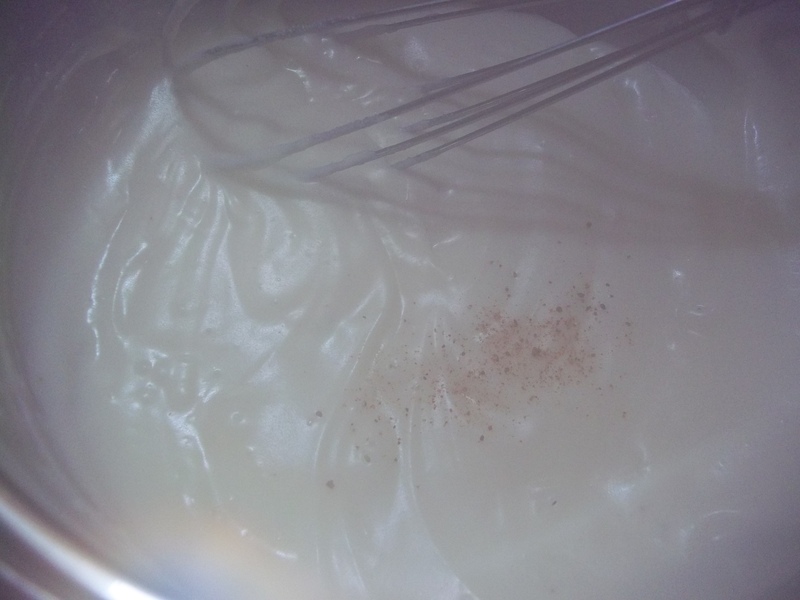 Whisk in milk, slowly to prevent lumps from forming, until you have a smooth paste. Bring to a boil while stirring constantly. Reduce heat to a low simmer and cook stirring constantly for 5 to 8 minutes. Sauce should be very thick. Season with salt and pepper to taste. Add nutmeg. Remove from heat and set aside. 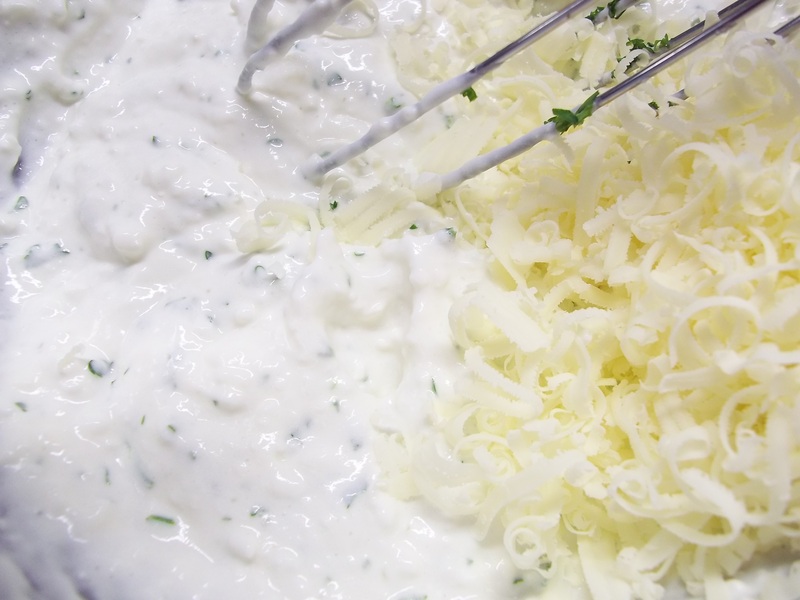 Prepare cheese filling by combining all ingredients. Butter the dish you have chosen to use as a mold. A large casserole dish or a deep stock pot will work fine. Sprinkle bread crumbs over butter to coat so timballo will release easily when inverted. Layer pasta in the bottom of the mold in a decorative pattern. 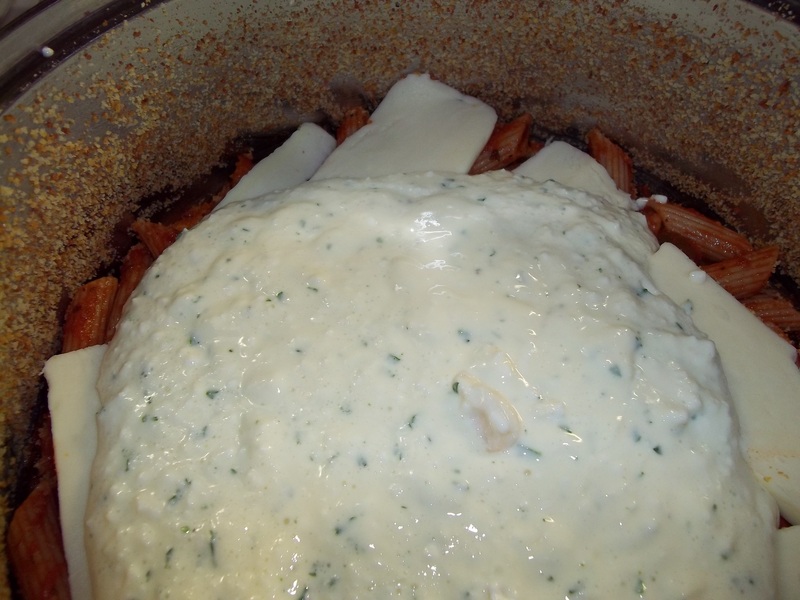 Begin alternating cheeses, ragu, pasta, bechamel, and cheese filling until all have been used. You can do this in any order you like, but end with pasta. Bake at 350 degrees for one hour. Place a heat proof serving tray over the top of the mold and quickly invert to unmold timballo. Cut into servings and plate.